Now, at winter's end (yes, I know it's technically spring, but winter hasn't let go yet), fresh local produce is scarce. Having eaten our way through last fall's roots and squash and cabbage, we look toward spring's gardens and markets in all their watery, green virility. And we wait. At this time of year, I inevitably turn to Vermont cheeses and meats for inspiration. Farmstands and markets in my area are all summer affairs, and I rarely make it to Burlington or Montpelier on Saturdays — when I do get early spring crops, it's from one of the co-ops. But here's a fun little snack — and super, super easy, doable in just a few minutes — made with half a block of smoked maple cheddar from Grafton Village Cheese, and a few drops of maple syrup. 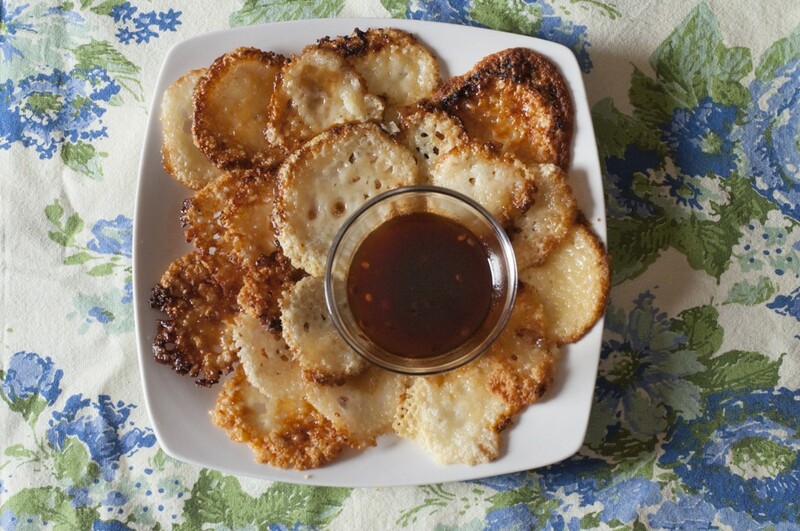 These little crisps offer flavors of toasty cheese and caramelized maple, lacy and brittle, and just a little spicy, if you go all in with the sauce. Serve it as a party treat or a salty-sweet dessert. Set broiler to 500 degrees F.
Cut the cheese into three-quarter-inch cubes. Place cheese on a sturdy sheet pan, leaving three inches between each cube. Broil cheese 1-2 minutes, until it melts flat and begins to bubble. Watch the cheese melt through your oven window if you can, as this happens quickly! Remove from broiler and pour a couple drops (enough to cover a dime) of maple syrup on each flattened piece of cheese. Replace in the broiler for 1-2 minutes — again watching — until the maple and cheese froth and bubble. Let the cheese begin to brown, but remove just as the bubble-frothing begins to slow. 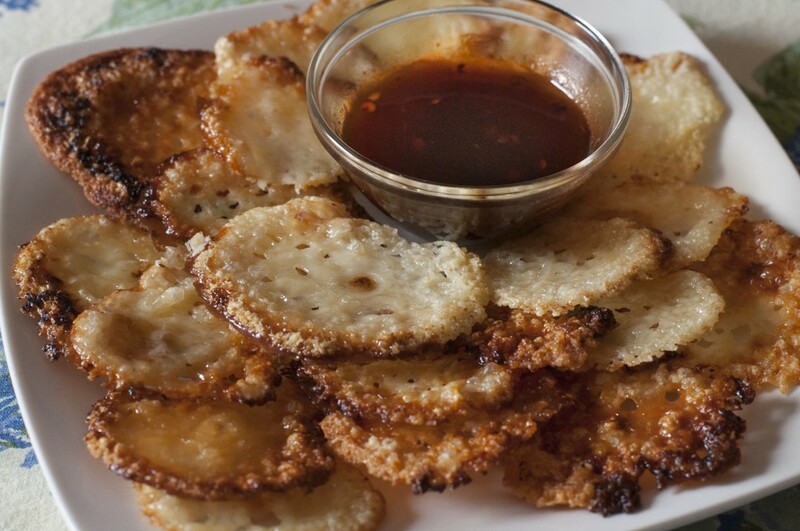 Allow the chips to firm up on the pan, then place on a paper bag to cool completely. In a small bowl, mix two tablespoons of adobo sauce with a quarter cup of maple syrup and serve with the caramelized cheese. Is there more to maple than A, B and C?